Maybellline Colossal Kohl comes in three variants Crushed Emerald, Jeweled Jade and Smoked Silver. Today I am going to review Maybelline Colossal Kohl variant Crushed Emerald. About the Product – Maybelline, world’s renowned brand of cosmetics is a lot famous among Indian girls especially for their Colossal Family products. I guess almost every girl has tried Maybelline Colossal Kajal for once. I also use their Kajal. So here Maybelline got little innovating and launched three other variants. Crushed Emerald as name suggests comes in a shining dark green color , like kind of green we see in emerald, exactly that one. Packaging – Even if you are standing at 100 meters you will recognize Maybelline colossal from a distance. I liked that they kept the pen in yellow color and the description of product is printed in the color of Kohl. The cap is tight, twists up works perfectly, easy to carry in bag, and looks good in our makeup kit or purse. Claims of Brand – Maybelline claims that it lines like Kajal and defines like liner. Its smudge free, comes with amazing 12 hour staying power, smooth application. 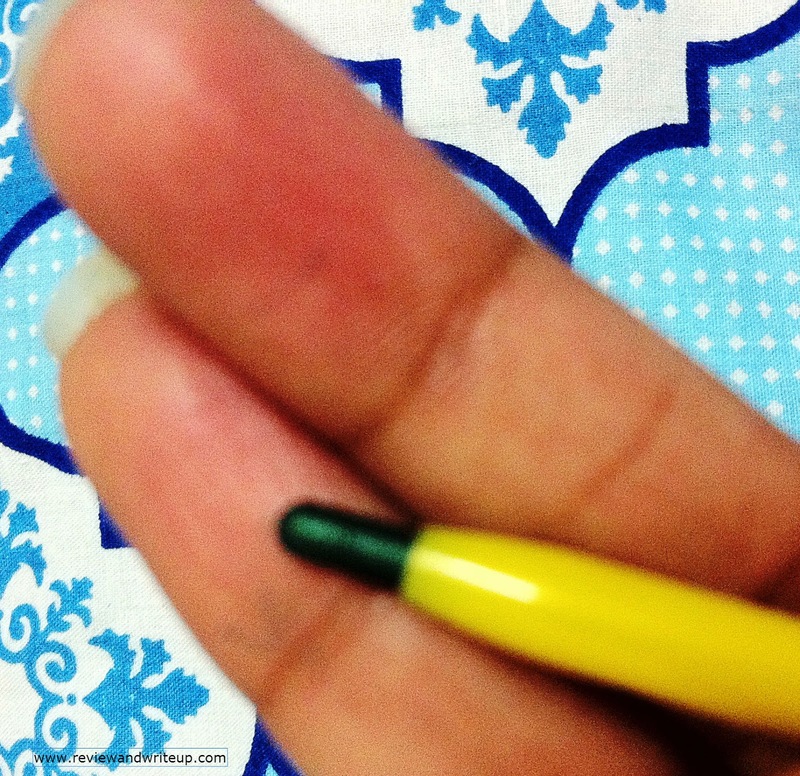 My experience – This is the first time that I used a different color liner other than black. I was quite skeptical as it was green in color, wasn’t sure how it will look on me. I have to say it looked really nice on me and I got lot of compliments for my look. It’s a beautiful green color, which glides easily over eye lid. 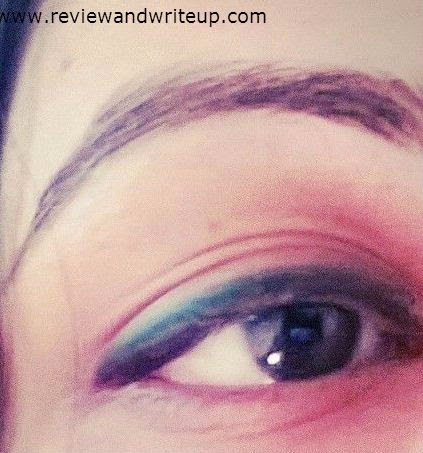 I applied green over my eye lid and completed the look by applying black Kajal on my water line. It looked great on me. If you are planning to wear a black top over blue jeans, or just a black dress or any dress or top which has green in it, the kohl will add glamorous avatar to your look. I have to say it’s very easy to use Colossal Kohl. I wore it whole day and it didn’t smudge its waterproof as well. Brand hasn’t claimed about it being waterproof, but I am saying that it is. If you will wash your face with face wash then only it will come off. It has become my favorite liner these days and I want to wear it over and over. R&W Recommendation – Make your everyday look glamorous with Maybelline Colossal Kohl in Crushed Emerald. Easy application, smudge free, waterproof features makes it a perfect product. Disclaimer - Product has been sent by brand for review purposes. All reviews posted are unbiased and are based on my experience.